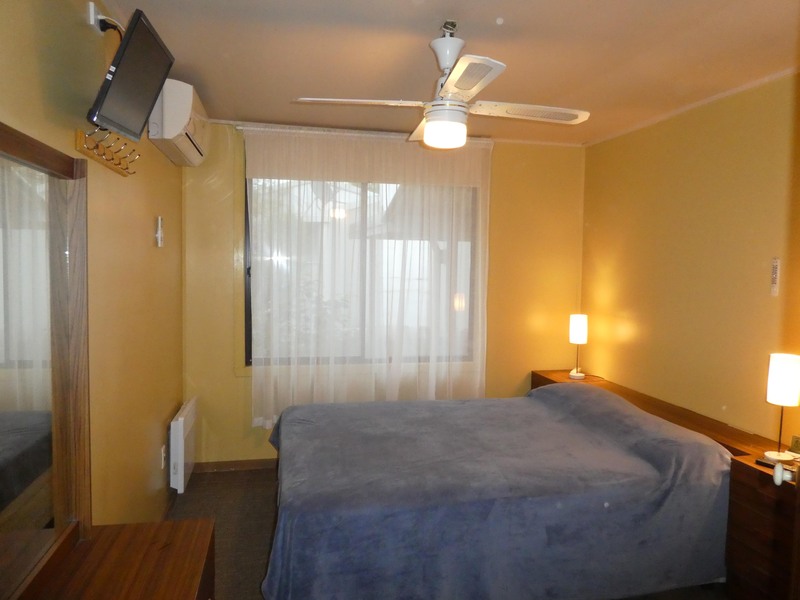 Spacious Main Queen Bedroom with TV and split system. 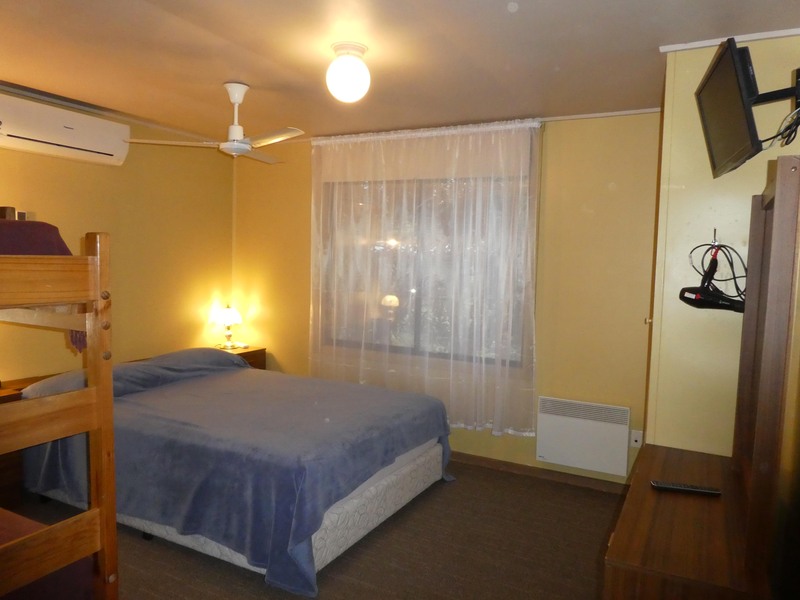 Large Family Bedroom, Queen bed. 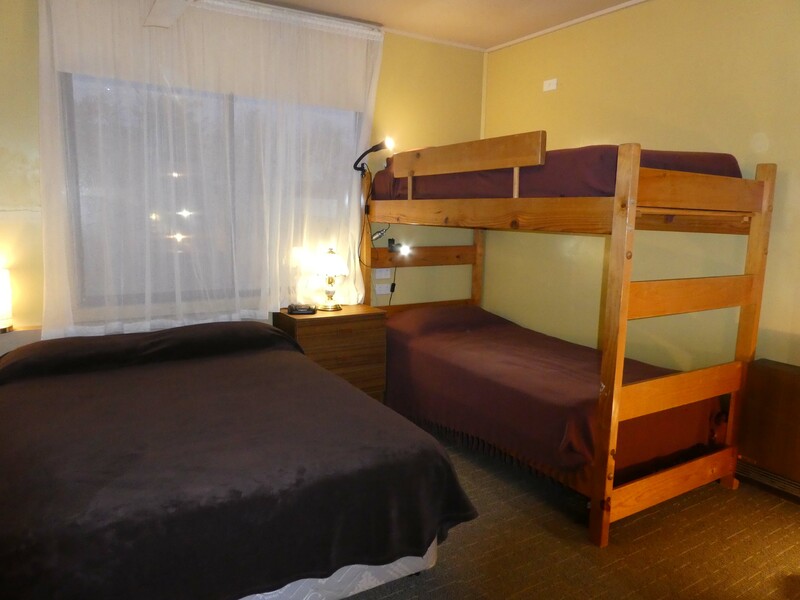 single bunks and room for two cots. Also with TV and split system. 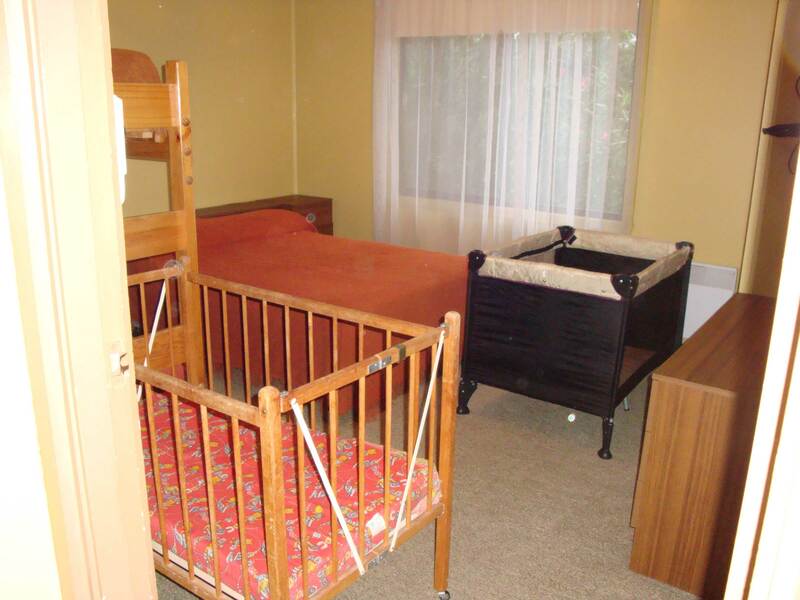 Even the smallest third bedroom is set-up with sufficient space for four guests plus bedside table and dressing table and if necessary can fit a cot as well. Also with TV and split system. 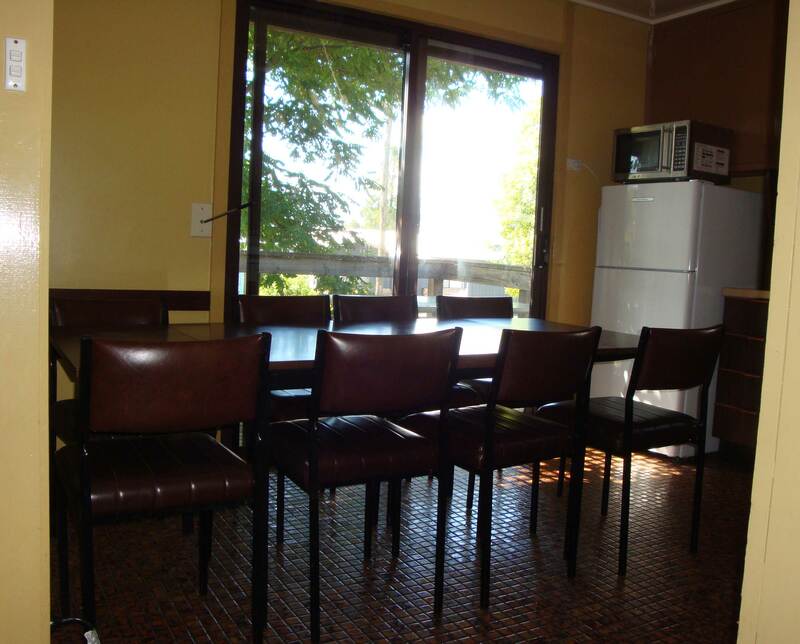 Roomy lounge room with seating for 10 has double glazed picture windows with north facing year round views down the Kiewa valley and towards Simmons Gap. 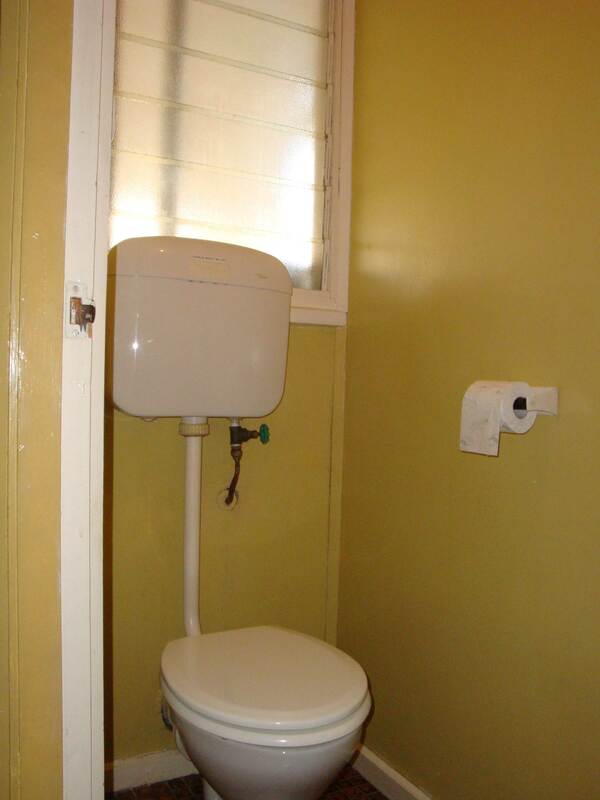 Equipped with internet TV access. 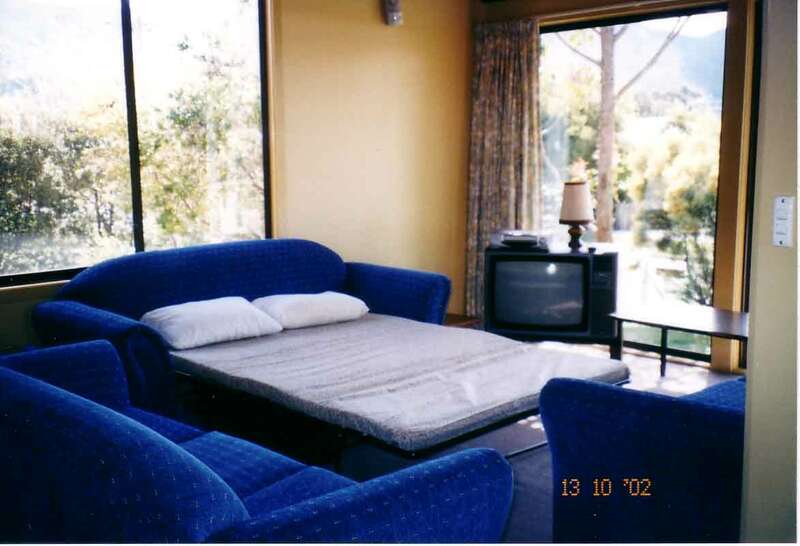 Sofa/Divan converts to a double bed to accommodate four couples. 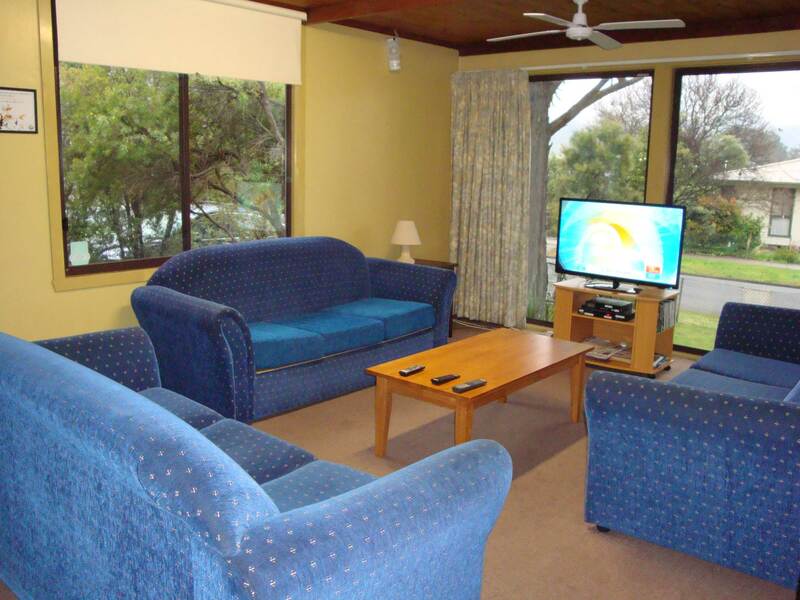 However for convenience we do not recommend using the divan for more than one night of your stay. 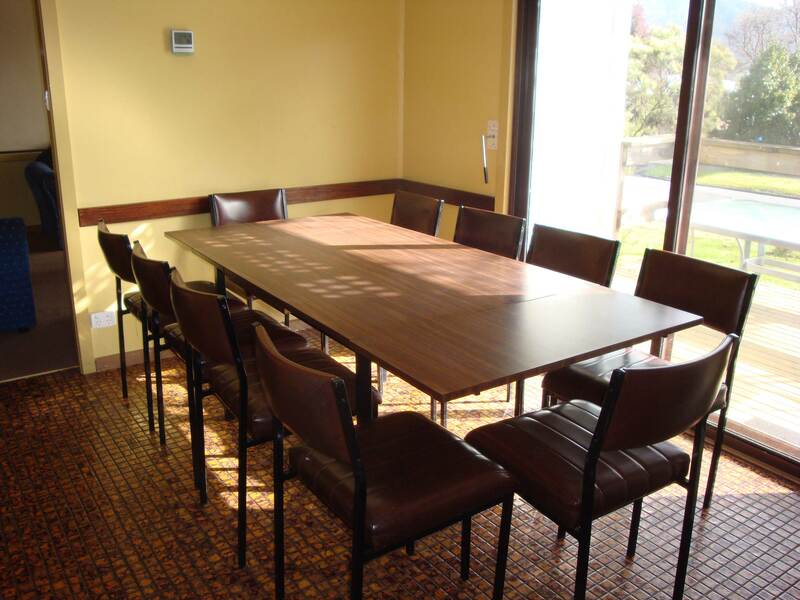 Dining area set-up for six with double glazed sliding doors to north sun deck. 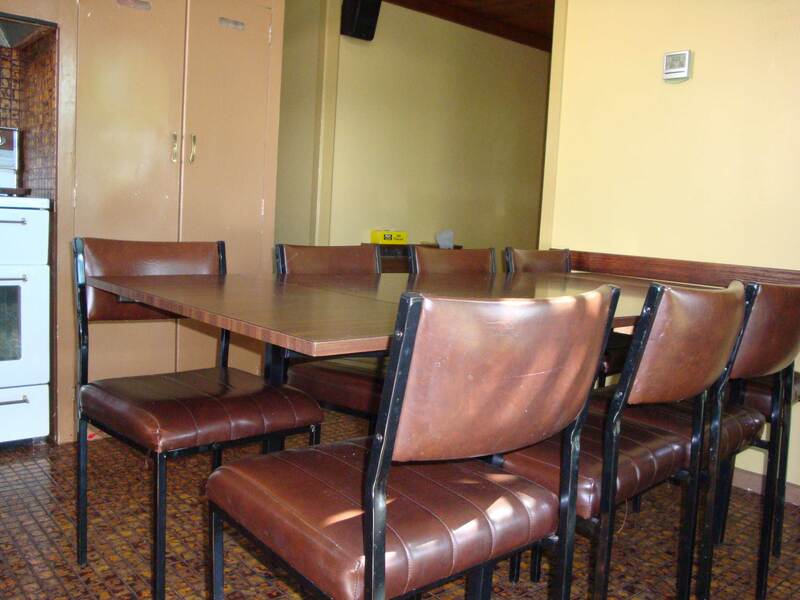 Ample space for the high chair provided. 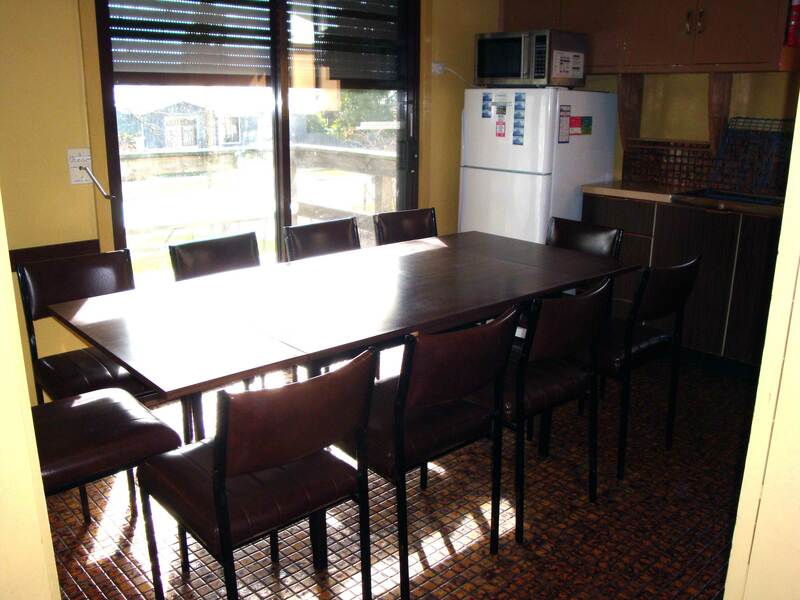 Cooking area with full size refrigerator, microwave oven, full upright stove and complete set of appliances and utensils. 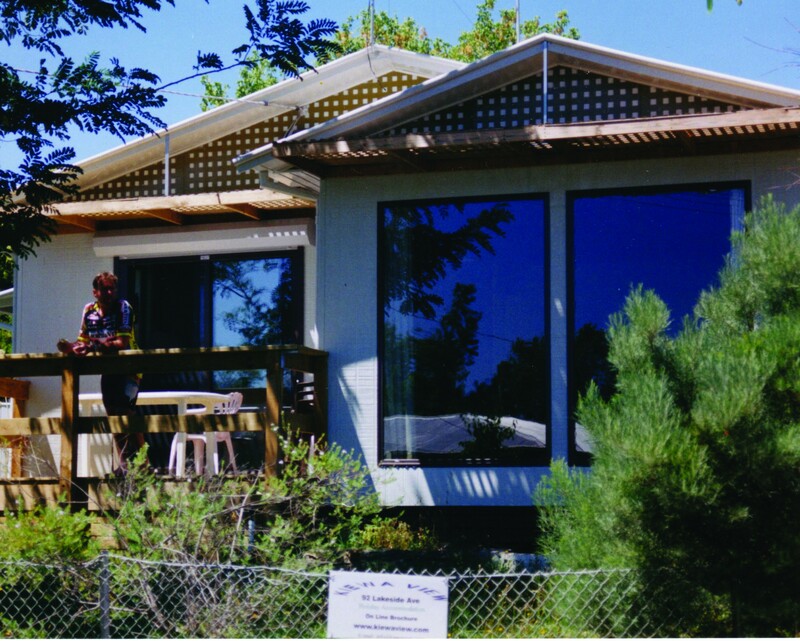 Sun deck off the kitchen dinning area offers panoramic views down both sides of the Kiewa Valley. Perfect spot for a late breakfast or on a sunny winter afternoon. 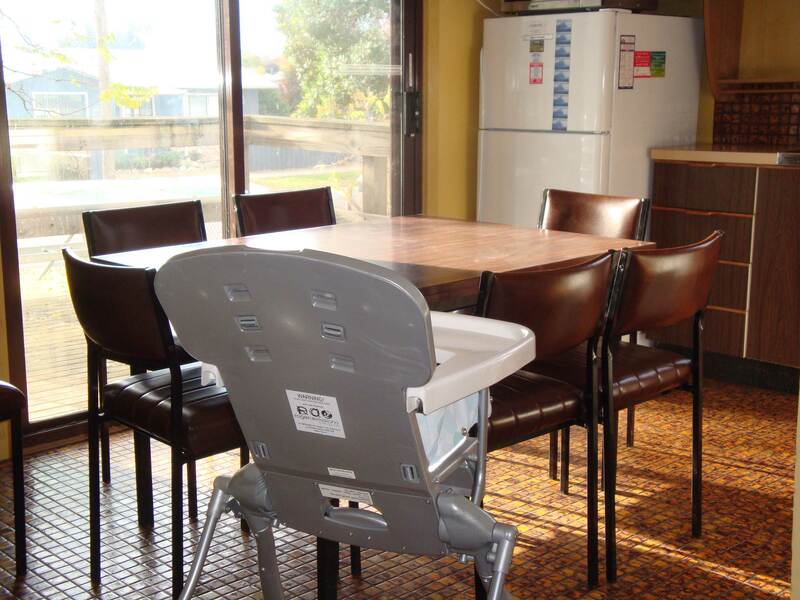 Dining area set-up for eight leaves sufficient room to access refrigerator, stove etc. 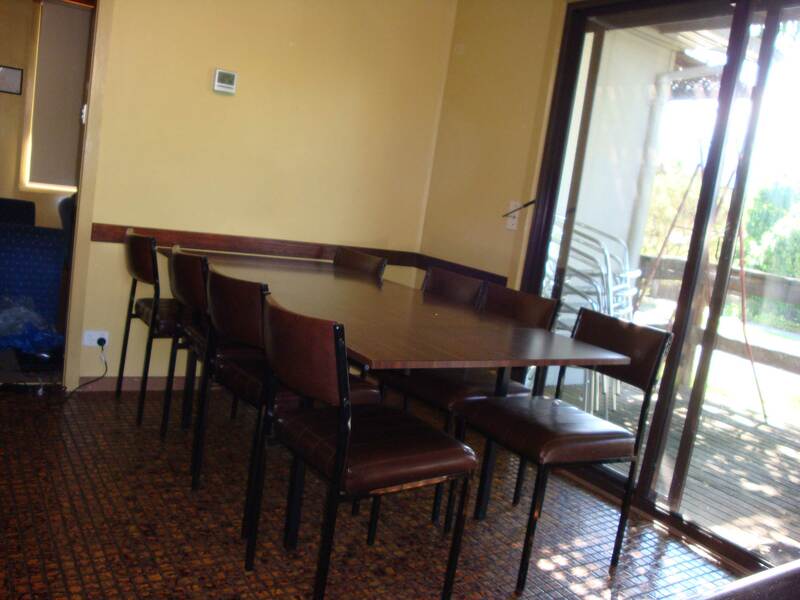 Dining area set-up for 10 is somewhat crowded, but no more so than some restaurants. 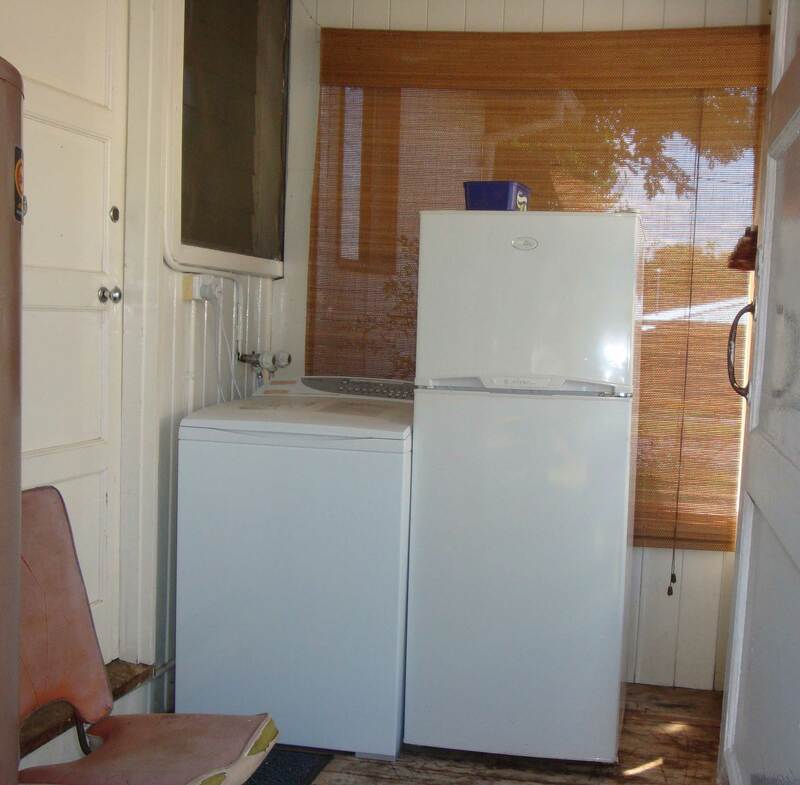 Access to the refrigerator will be cramped, but there is space to move in the kitchen. 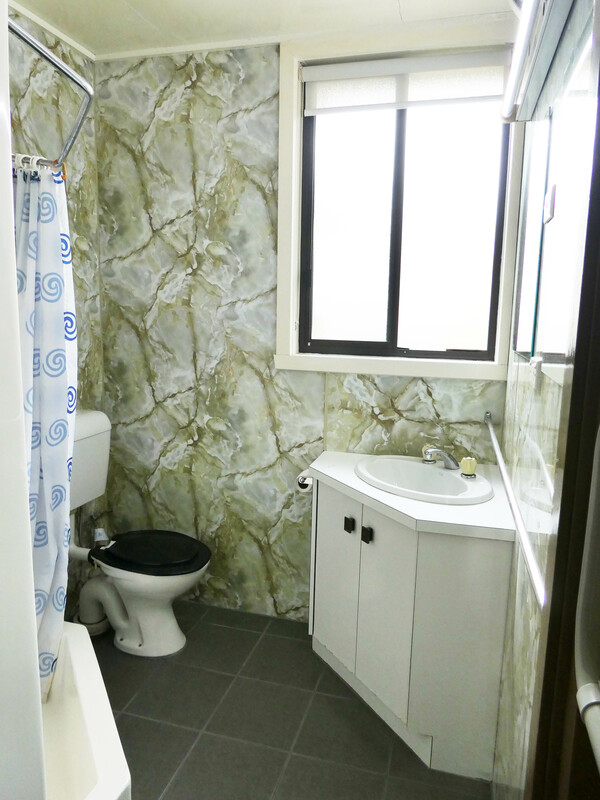 Bathroom with shower, toilet and vanity. 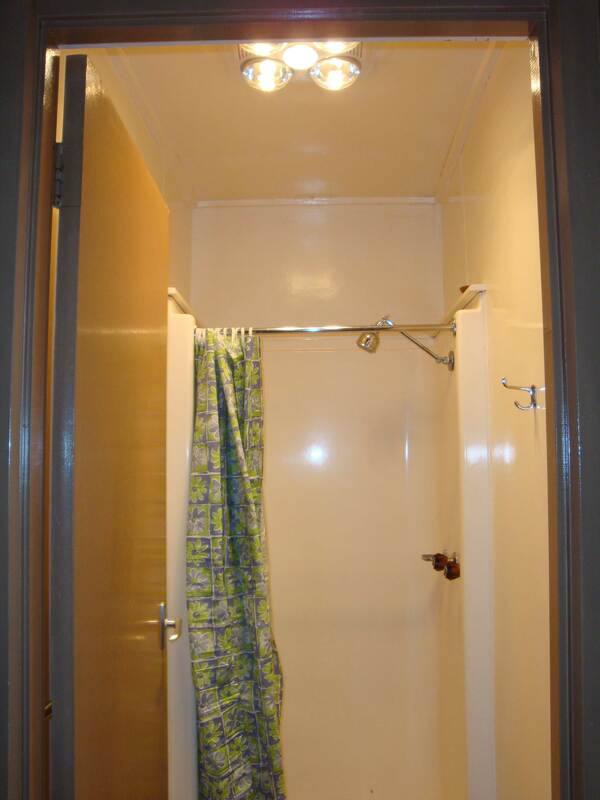 Second separate shower and second separate toilet adjacent to the drying area. 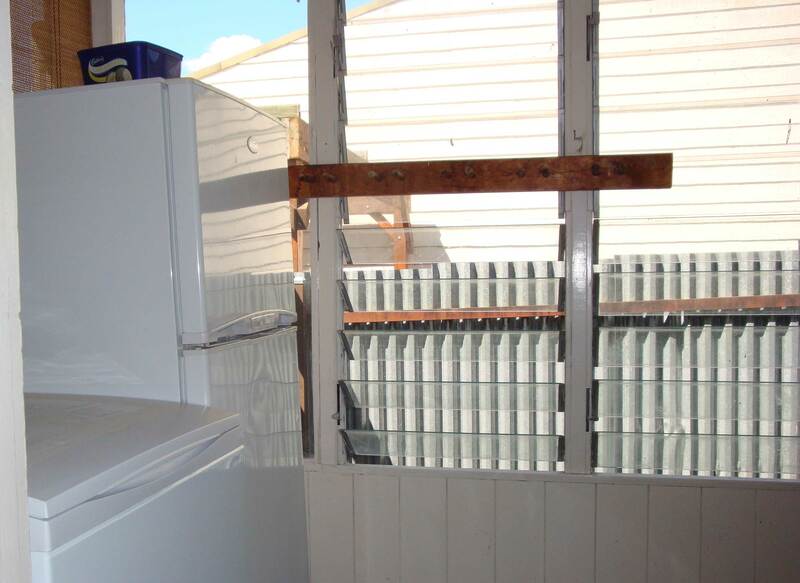 The drying area has two cabinet dryers with overhead boot racks. Ideal for drying snow and other sporting gear. 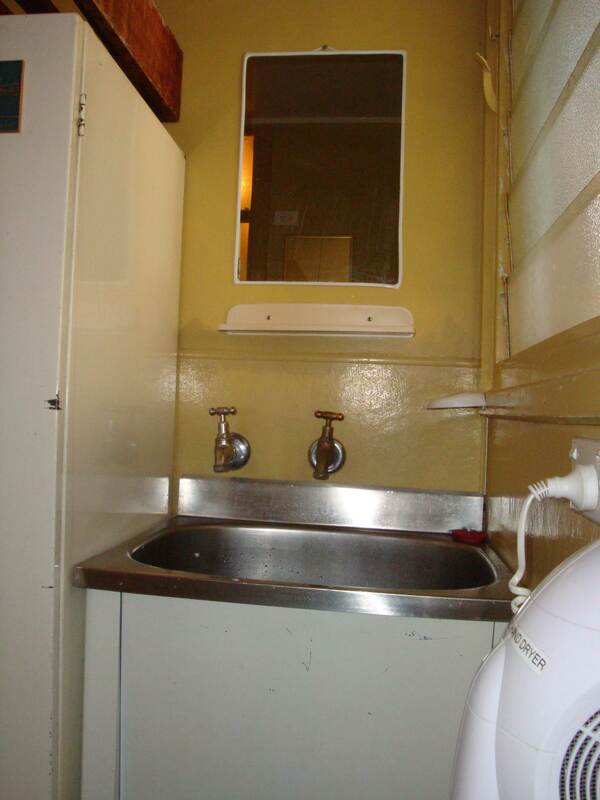 The drying area outside the separate toilet also has an abolitions bowl, mirror, shelf, hand dryer and power point on one side and full length mirror and power point on the other. 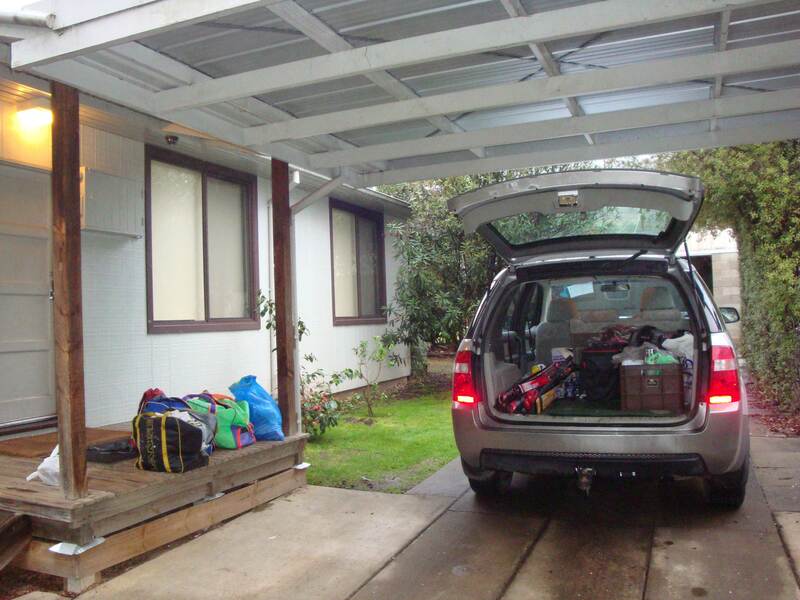 The rear porch entrance with washing machine, second full size refrigerator, and racks for ski and fishing rod storage. 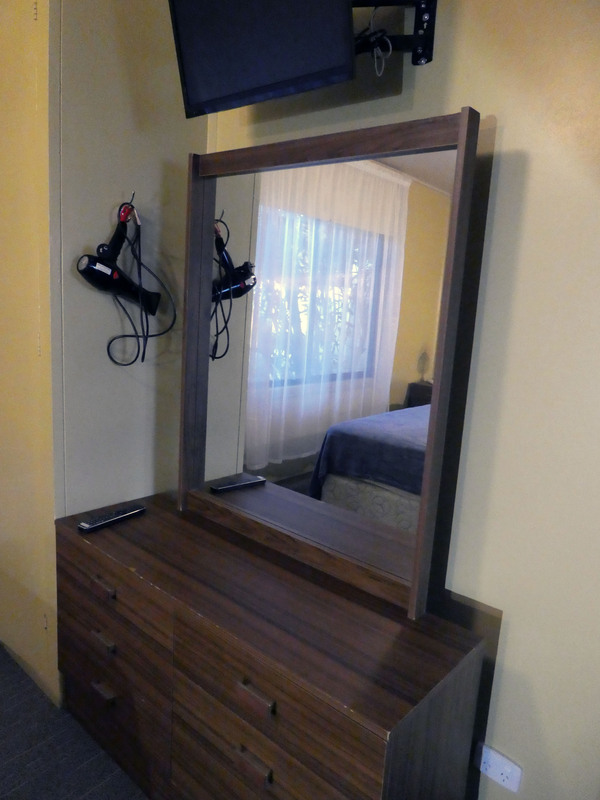 All bedrooms have a dressing table with mirror, power point and hair dryer. 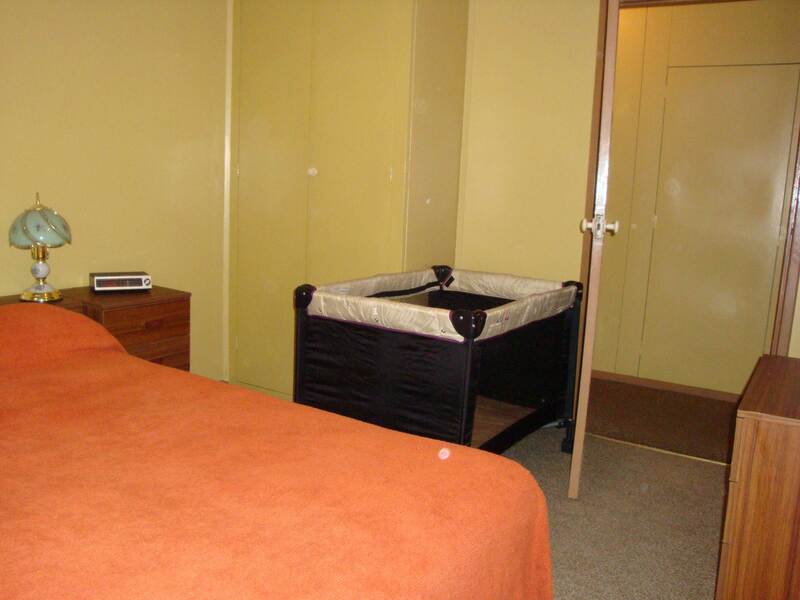 The family bedroom can accommodate two cots in addition to the double and single bunks with room to move. 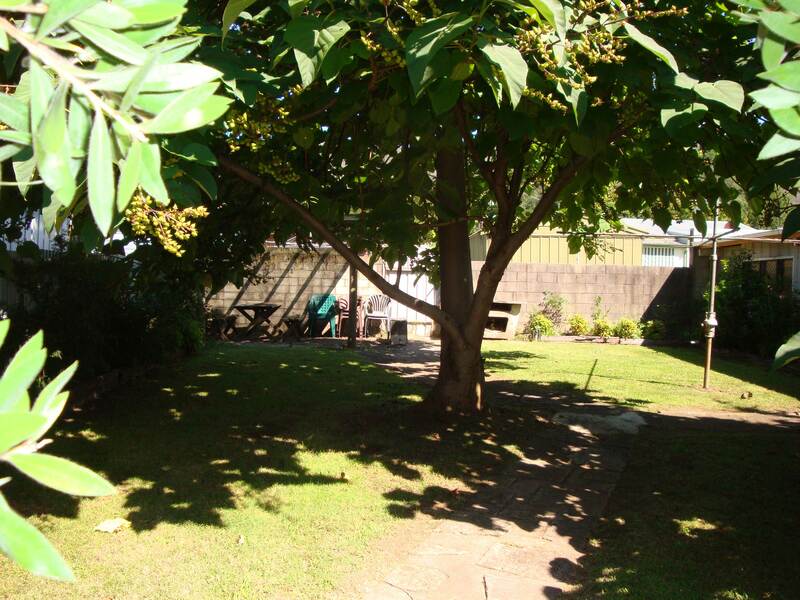 Attractive tree shaded rear garden. 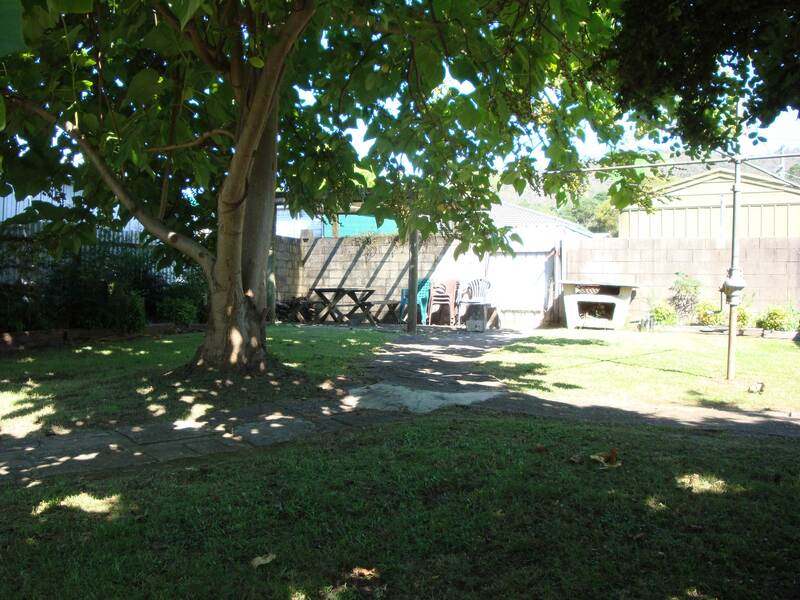 An ideal shady spot for afternoon tea on a summer afternoon. 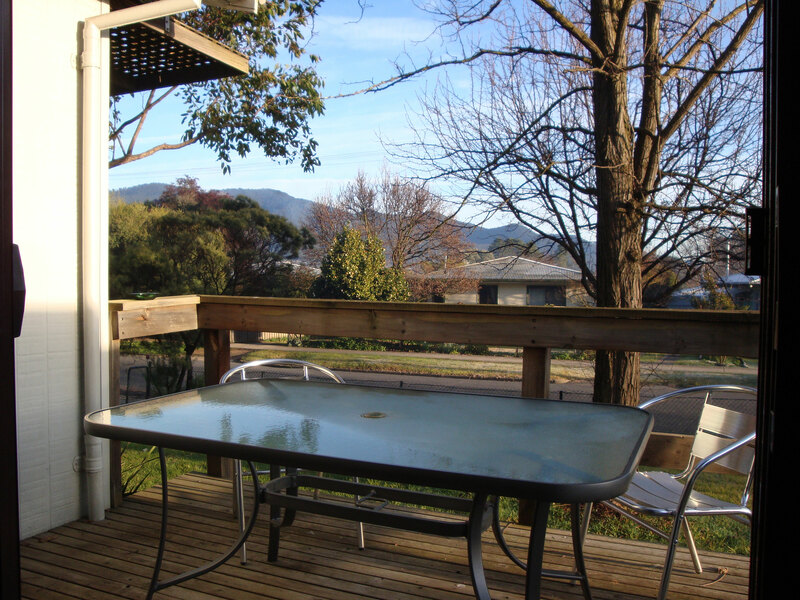 Pergola BBQ area, with a view of Victoria's highest mountain, Mt Bogong on the background. On a winter morning you can open the bathroom window and see how much snow has fallen on Mt Bogong overnight. 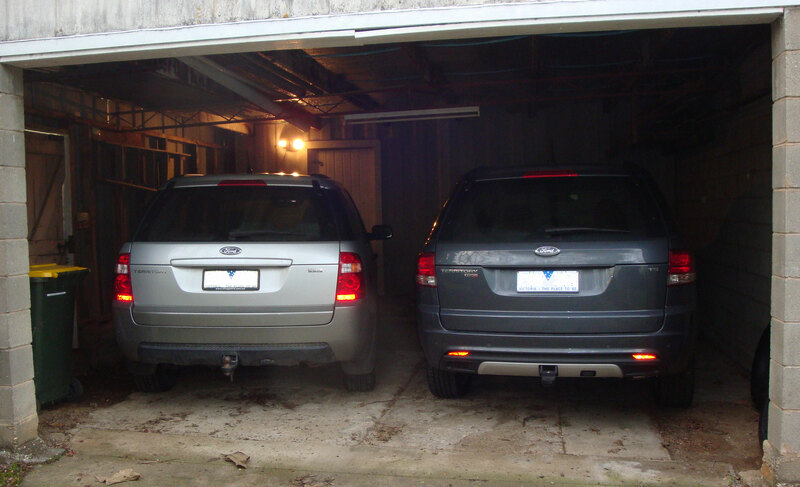 Double Garage protects windscreens from winter frosts in snow season and car from hot sun in summer. 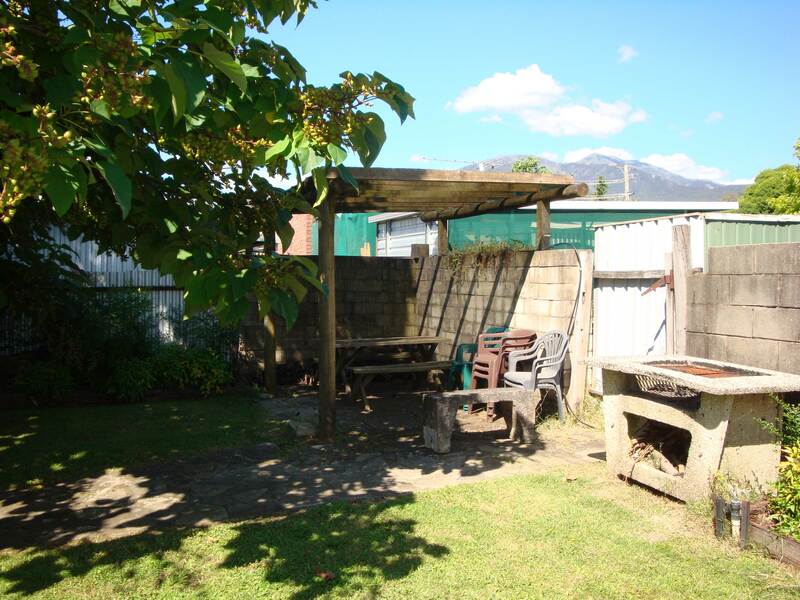 Ideal sheltered area for maintenance of road mountain bikes and other sporting equipment. 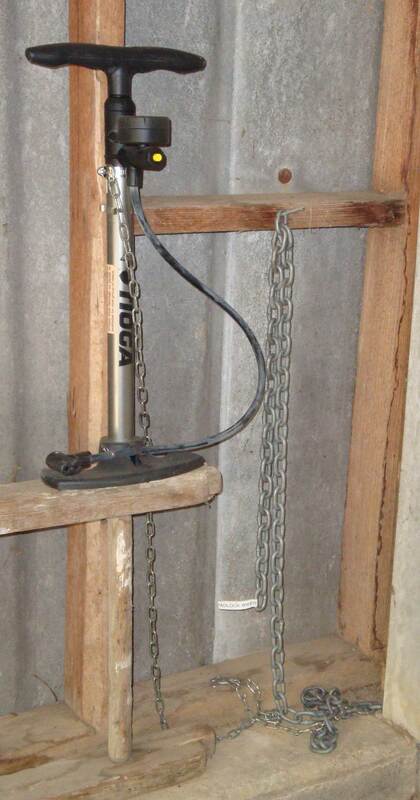 Floor pump provided for mountain bikers and road cyclists. Anchor chain provided as a security point to padlock bikes to.